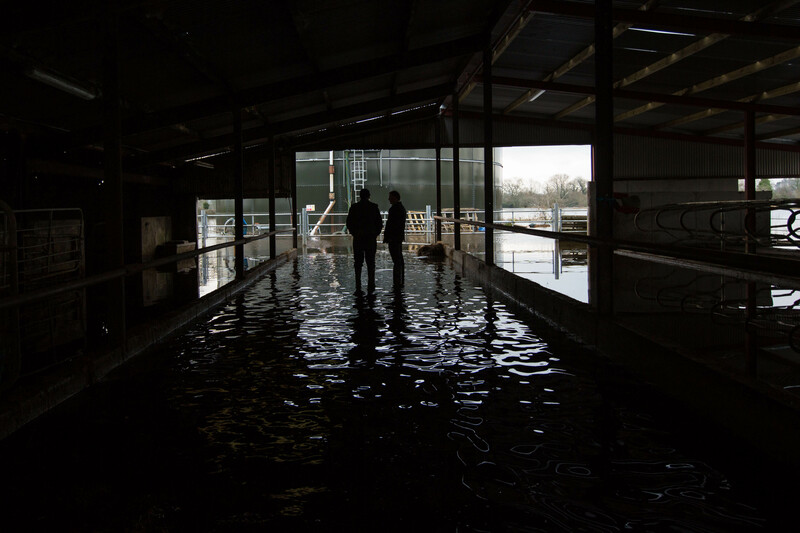 Between waterlogged ground and exceptionally strong winter growth, the weather this winter has been nothing short of a disaster for farmers. Last week, rainfall was above significantly normal countrywide and it was wettest in the midwest and west. Rainfall ranged from 120% to 150 % of average in northeastern areas to over 250% of the norm in the mid-west, according to Met Eireann. 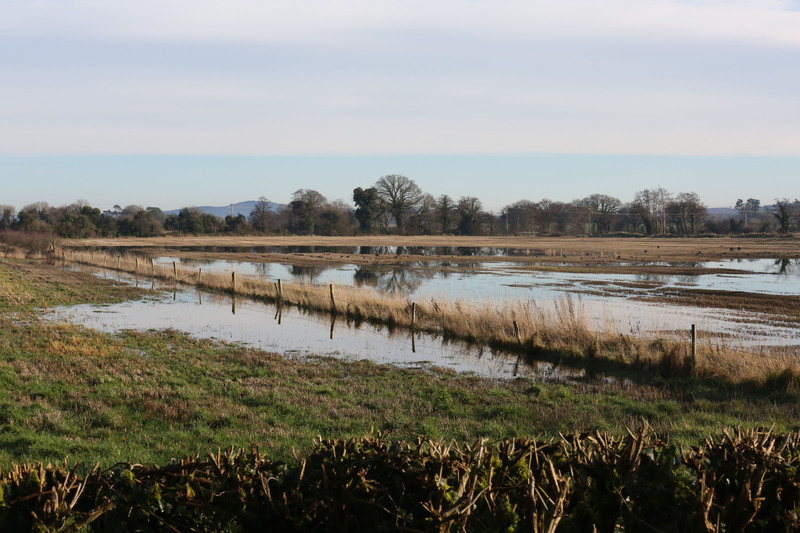 For the coming seven days, rainfall amounts are forecast to be below normal in many areas, however incessant rain over the winter period means that field conditions will remain poor or waterlogged in the short term. 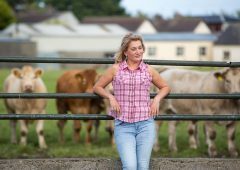 For many farmers, particularly in western counties spreading slurry is an impossibility at present due to the ground conditions with slurry tanks on many farms across the country reaching capacity. 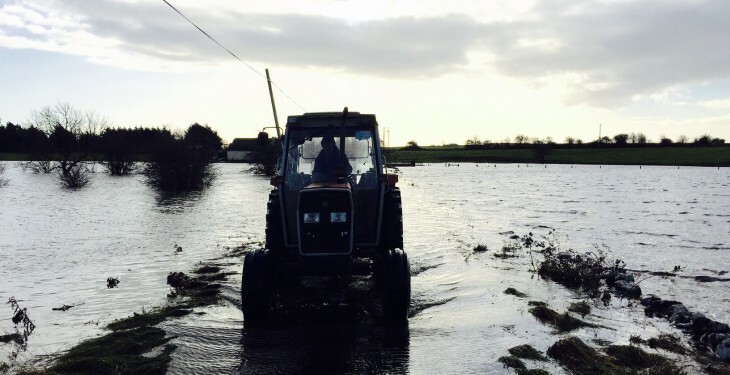 Flooding remains an ongoing issue for farmers in many parts of the country. In Roscommon, over 100 cattle remain in emergency housing in Roscommon mart with several farmyards in the county completely submerged in water. 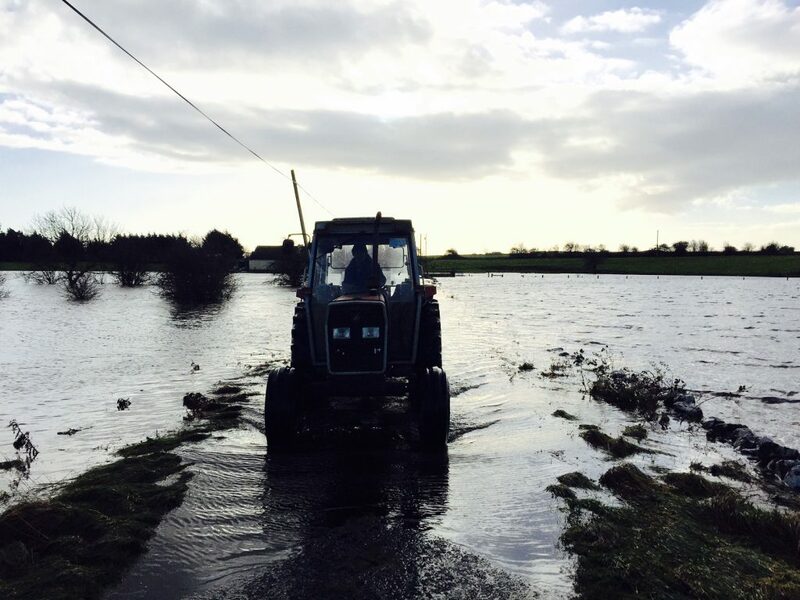 Roscommon IFA Chairman John Hanley recently commented that farmers in the area are suffering from the second 100-year flood in six years. Flooded turloughs are a becoming a huge problem in many areas. Water levels in many turloughs are at levels not seen before and are covering ground which in the past would not be submerged. 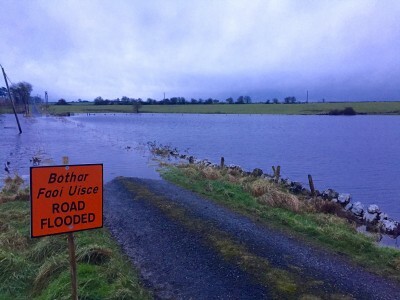 Some commentators in local areas have suggested that due to the volumes of water in turloughs at present the could continue to be a problem into March. Meanwhile in other parts of the country, the mild winter weather has led to stronger than normal growth on tillage farms. All mean temperatures for December were well above there normal with differences above average ranging from 1.4 degrees Celsius at Markree, Co. Sligo with a monthly mean of 7.1 degrees to 3.6 degrees at Dublin (Phoenix Park) with a monthly mean of 9.0 degrees. In January, mean air temperatures were also all on or above average at weather stations with some stations observing zero days with frost. Met Eireann says that growth really has continued all winter and ‘exceptionally strong growth’ at that. This is problematic for tillage farmers as it says we could still get a lot of frost between now and the end of spring.